We all want happiness and health; the desire for loving relationships and prosperity grows stronger with each day. We are hungry to be all that God wants us to be and eager to do what He wants us to do. Click here for an example of Becoming the Person You Want to Be. We all want happiness and health; the desire for loving relationships and prosperity grows stronger with each day. We are hungry to be all that God wants us to be and eager to do what He wants us to do. We long to discover our destiny and live our dreams to their fullest. Yet, the journey is often fraught with setbacks, disappointments, and wrong turns. 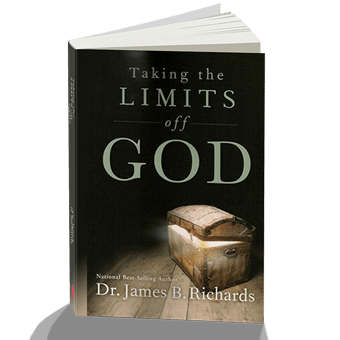 In this groundbreaking book, best-selling author Dr. James B. Richards will shatter the ultimate illusion that limits every believer. He will help you connect to a new sense of self-worth that will unleash the power of God in your life in a way you have never experienced before. For the first time you will know how to simply put off the old man and put on the new. No more counseling, no more mysteries, no more confusion! 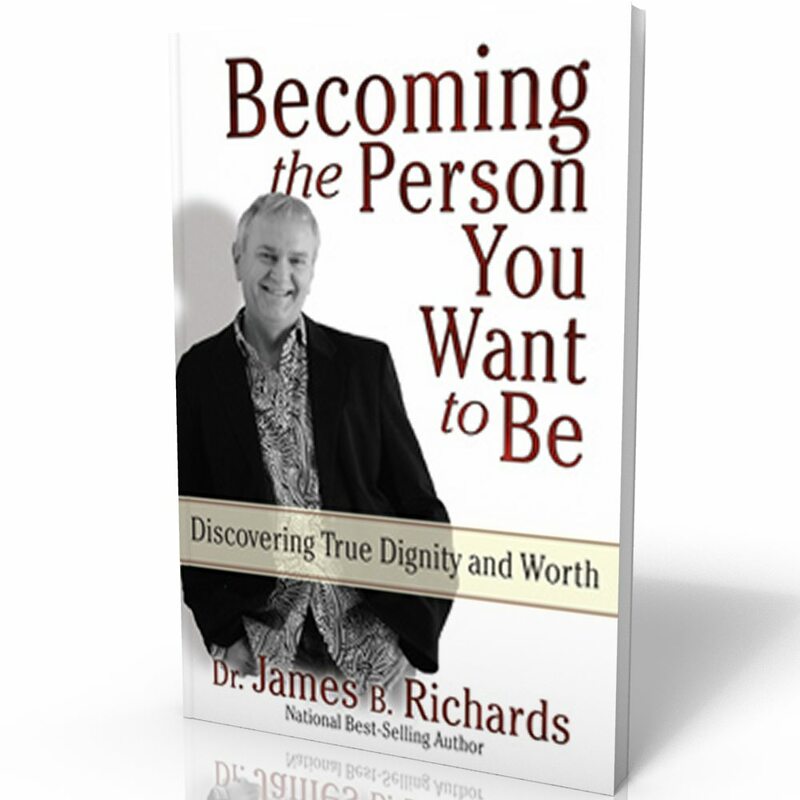 Join Dr. Richards as he reveals the secrets to a healthy sense of self-worth. You will discover how to connect to the only true source of identity, self-image, and dignity. You can become the person you want to be and enjoy the journey! Love this Author! Everything he writes is a Home Run! From the first chapter the book has been nothing but a blessing to me! Great insight just like all of his books. He makes you think and do something about it! Jim Richards is so good at explaining how our walk with God should be in light of the scriptures. 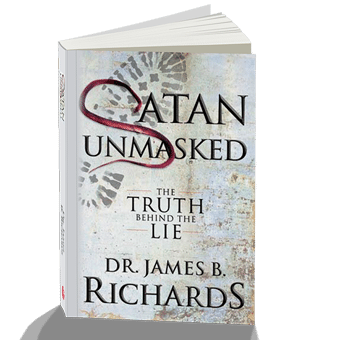 If you are seeking answers as to what kind if life God would desire for you, then this book is a perfect read. I choose this book because i wanted to get my life on track. i wanted to read before the end of the year (2013). i was tired of aking resolution and not maintaining them. i wanted to change my life once and for all and this book helped a great deal. it is certainly a positive step forward toward changing my life. Any book Jim Richards writes is worth owning, reading and then buying more copies for loves ones. When you know who God is, He will show you who you are. I have read almost every book this man has written. This one was particular good in that there is a twist. By the time you are finished this read you will have a perspective that changes how you view yourself, your future and how you approach prayer. As a dedicated believer I came to my wits end, I so desired to become the person God said I could be in Him, yet felt like a miserable, empty failure. I invested much time, energy and dedication to study, learning and practice to become the person who was whole, quenched and had a purpose. That peace, that elusive peace we all crave, often chase and rarely catch came to rest within me after I read this book. I have not had a struggle since. What I learned here permanently altered my life. Don’t read this if you don’t want things to shift! May you too lay to rest your painful struggles of inadequacy and incongruency. This book helps you to understand some of the things that you do in life and helps you to redirect your thinking. Dr.Jim makes spiritual principles simple enough that you would need help to misunderstand them.This book is not for a new believer but for someone who has committed to press for the high calling of God in Christ Jesus.We receive total victory when we receive Jesus..Dr.Jim coaches on how to SEE ourselves from the perspective OF victory rather than trying to OBTAIN victory. 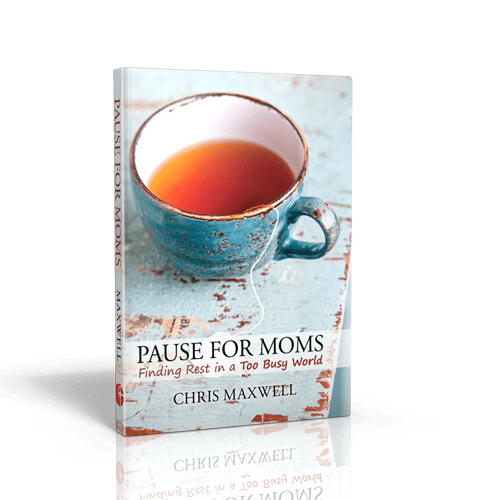 Very practical and inspiring I could since something changing in me as I read the first chapter! Excited to start being and to stop trying to become! Great material and everything he writes works in tandem together. Awesome book! Buy all of his stuff. It’s all great.